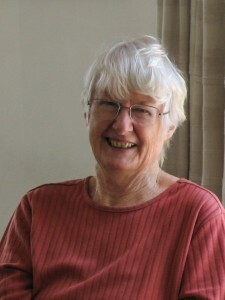 Congratulations to Joan Druett whose biography Tupaia: the Remarkable Story of Captain Cook’s Polynesian Navigator has won the general non-fiction section of the 2012 New Zealand Post Book Awards. Published by Random House New Zealand, this is a beautiful book about an extraordinary genius who had, until now, been overlooked in accounts of Cook’s voyages. Joan, if we consider that biography is like a marriage, it follows that you and Tupaia were destined for one another. It seems he was waiting for you, his story was waiting to be told, no one could tell it as well as you – and the timing was right. From your point of view, why have you and Tupaia been such a good match? That such an astonishingly gifted and powerful man was “waiting” for me to write his biography is quite a daunting thought, and yet I feel as if you are right. That I have been writing novels and stories about my fictional Polynesian sleuth, Wiki Coffin, was probably ideal preparation for writing Tupaia’s story. Wiki, half-Maori, but raised as a Maori until the age of twelve, is abruptly carried off to Massachusetts by his American father, and is forced to make rapid adaptations to foreign thoughts and ways, much of it on European vessels. 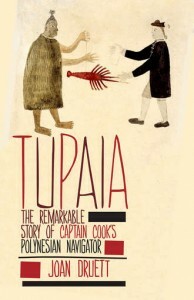 Accordingly, I had a very good idea of the challenges Tupaia faced when he embarked on the Endeavour — not just the alien food and the strange daily routine, but the very peculiar social restrictions, focused on status and rank, that prevailed in what was a very small and crowded environment. I recall talking to you years ago about writing non-fiction. You said ‘Think like a novelist’ – I’ve always thought that good advice, and relevant not only to writing but to research as well. How did an imaginative approach help you in your research of Tupaia? The important thing to remember when dealing with character in both fiction and nonfiction, is that no one does anything without a good reason. Once you understand motives, the character becomes credible, and it is possible for the reader to empathise with him (or her). It was this approach that made writing the biography of a man who left no written record at all possible. I was forced to rely on what other people wrote about him, so my approach was to think, why did this person choose to record that, and why did Tupaia say or do that particular thing? Each time, not only did the deductions I made reveal something about the writer, but it opened a window into yet another aspect of Tupaia’s nature. How would you describe your creative process of writing Tupaia? Where do you allow yourself the freedom to invent, and where do you draw the line? To write like a novelist, you have to have a clear picture of a character’s appearance, which posed a problem. While Parkinson (Banks’s draftsman) sketched Tahitians, apart from the boy, Taiata, they were not named, so I had to make deductions in order to describe what Tupaia and Purea looked like. Purea, the so-called “queen of Tahiti,” and Tupaia’s lover when Wallis arrived, posed a problem, as she was obviously flamboyant as well as tall and goodlooking, and needed a detailed description. In 1785 the artist de Loutherbourg designed costumes for a pantomime called “Omai, or a Trip Around the World,” and I decided to use his very colourful sketch of “Obereyan Enchantress.” Finding out that John Webber, who had been with Cook’s third expedition, was a stage painter for the pantomime helped justify this decision. Describing Tupaia was even harder. I deduced from a Parkinson sketch that priests were cleanshaven, which meant that he wasn’t bearded. Robertson, Wallis’s sailing master, wrote that Purea’s “attendance were drest in white,” so it seemed logical that Tupaia wore pure white robes. Missionary accounts stressed that members of the arioi society, like Tupaia, were goodlooking, tall, and athletic. Then studying photographs of more modern Polynesian navigators gave me the details of a crease between the brows, and the far-seeing eyes. When I had finished, the description seemed apt and right, and yet it depended on imaginative deduction. That Random House New Zealand used the pictorial material so lavishly and well had the effect of substantiating as well as illustrating the story I told and the deductions I had made, which was very satisfying. Unfortunately, for some technical reason, these images are not reproduced in the electronic book, and I do wonder if the text is as convincing without them. Thank you, Joan, and congratulations again for your well-deserved success. Thank you, Sarah, for the chance to be interviewed on your blog, and particular for your most thought-provoking and revealing questions.